HOOD, OREGON: Last week in Oregon was a blessing for us, I mean weather-wise. After few weeks of gloominess and cloudiness and fogginess, I was eagerly waiting for a bright and sunny day to go out with my family and have some outdoor fun. And finally there it was. It was kind of an instant decision to head towards Mt. Hood last Sunday. But hey, it’s February and you can’t let a gorgeous day get away like that. The girls were excited about playing in the snow, my husband was excited to just get out of the house, and I was excited to put my new lens at work. Mt. Hood was THE place. We got ready, packed some sandwiches, filled up the car, and off to the highest peak in Oregon. Yep, with more than 11,000 feet in elevation, Mt. 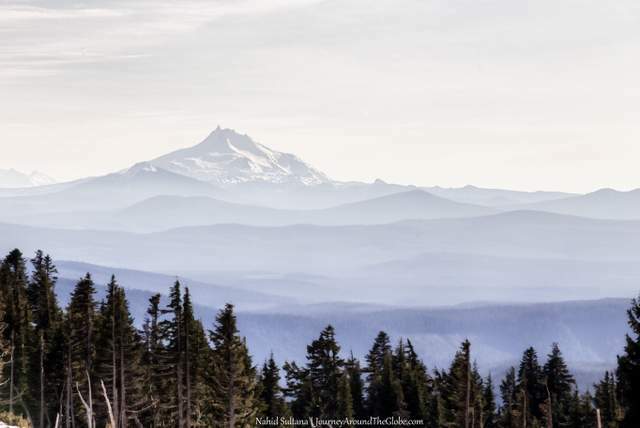 Hood is the highest peak in Oregon and you don’t have to be that lucky to see its crowned and pointed peak from any corner of Portland and surroundings. That’s a gift we Oregonians enjoy everywhere we go, a glimpse of Mt. Hood from here and there. This is where the locals and tourists go for skiing, tobogganing, camping, hiking, and any other outdoor fun or winter sports. Mt. Hood is about little more than 2 hours of drive from Portland. Enjoy the Mt. 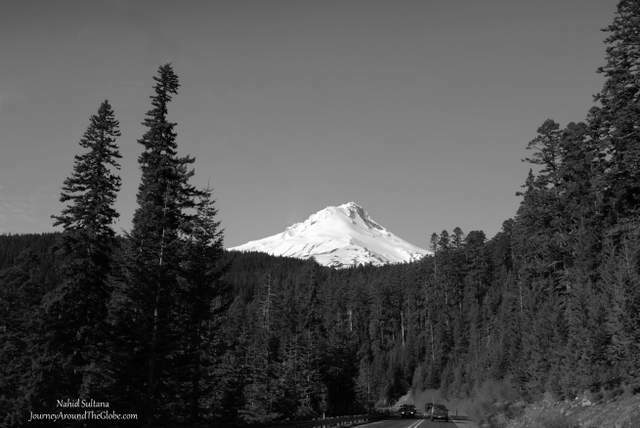 Hood Scenic Byway on your way. Make sure to check out this must-see site of nature when in Oregon, you won’t regret it. 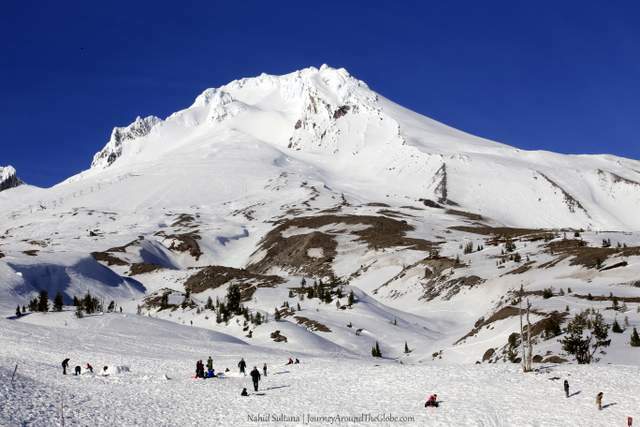 Once you are there, explore different sites, like Timberline Lodge and Government Camp. We were at Timberline Lodge this time. 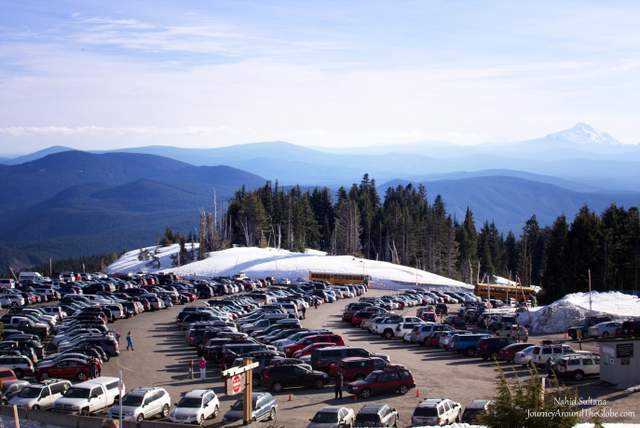 This is a major ski area, winter sports center, and a very popular tourist destination in summer or winter. The lodge here, Timberline Lodge, was built in the late 1930s and is a National Historic Landmark. You can rent or buy sports/winter gears, stay overnight and have nice meals all under this roof.